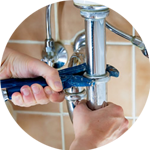 If you are looking for a plumber in Thames Ditton, the Handy Squad has got the whole KT7 area covered. 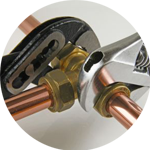 Our handy team has been solving plumbing issues since 2005. 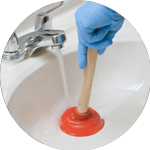 No job is too big nor too small – from sink repairs to unblocking toilets, we will give you a helping hand. 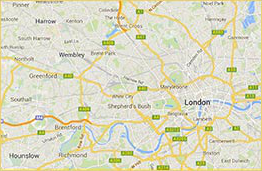 You can see our team all around London in their signature yellow scooters and vans ready to complete any task you give us in a timely manner and with excellence. So, why not give your local Thames Ditton plumber a call? Thames Ditton lies next to the river Thames. It has three islands, the largest of which is a residential area with more than forty homes. Its riverside is situated opposite the Thames Path and Hampton Court Palace Gardens. Thames Ditton’s High Street is a conservation area with a mixture of residential housing and retail shops. Its 1887 vintage hall offers a venue for local groups and has managed to attracted many celebrities over the years. Winters Bridge on the Portsmouth Road is home to a nationally recognised patisserie and chocolatier. 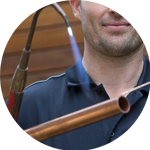 You can rest assured if you are located in Thames Ditton or any of its neighbourhood areas, such as Surbiton, Hampton or Kingston – our team will be ready to resolve any potential plumbing issues or any plumbing related tasks you might have. Our London plumber team specialises in repairing toilets, unblocking showers, replacing dishwashers, installing new taps and much more. If you are looking for other handyman services, our Handyman London team offers moving services, tiling, electrician services, carpentry, jet washing and much more.